I plead that every anti-vaxxer read this critically important pikuach nefesh article. Rabbi Dr. Aaron Glatt is director, Halakhah & Medicine Commission at the Rabbinical Alliance of America/Igud HaRabbonim. There is a small, yet very vocal and influential group of “anti-vaxxers” living in our heimishe (haredi) communities. While I am not questioning their love for their children, they are causing a tremendous chillul Hashem (defamation of G-d's name, ed.) and putting all Jews at great risk, both from measles, and rachmana leztlan, antisemitism. I plead that everyone read this critically important pikuach nefashos (1) article. 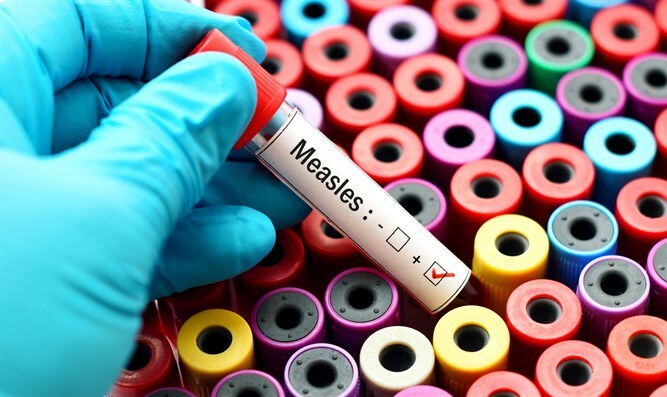 All the cases of measles identified so far in this very large, ongoing outbreak are traceable to haredi communities in Eretz Yisroel, Europe, New York, New Jersey, Michigan and elsewhere. This has made countless headlines in the medical and secular press, all revolving around Orthodox / Haredi Jews spreading disease. Imagine what the headlines were in the Dark Ages regarding the Jews and Black Plague. Hashem yerachem. And then it was a libel. Almost all other gedolei Yisroel – including HaRav Shlomo Zalman Auerbach, zt” l, HaRav Yehoshua Newirth, zt” l, and, yibadeil bein chayim lechayim, HaRav Elya Brudny, HaRav J. David Bleich, HaRav Reuven Feinstein, HaRav Hershel Schachter, and HaRav Mordechai Willig, shlita– have all ruled that there is no basis in halakha for suggesting that vaccinations be avoided. All strongly require children in our outbreak setting to be vaccinated immediately. These are just three examples of misinformation provided by orthodox anti-vaxxers. Why do we let such incorrect non-halakhic, non-scientific positions to be the cause of a huge chillul Hashem? Why are people not following the medical experts as halakha requires? Why are precious children unnecessarily exposed to lethal illnesses? How could we cause “Orthodox Jews Cause Disease” to be the lead story on major print and other news media? Why are health departments and governments in our “medina shel chessed” (refers to the US, ed.) talking about fining Jews and closing Yeshivas? Why are non-Jews afraid to sit next to us on trains or go to our stores? In my humble opinion – as a community rav and board-certified infectious diseases physician – it is because we somehow have forgotten basic halakha. Halakha states that if a dispute exists on whether a patient should eat on Yom Kippur, or if Shabbos desecration is necessary to save a life, we must follow the most competent and/or majority of expert physicians. The evidence is overwhelming that vaccination is the only way to control these preventable fatal diseases. B’chasdei Hashem (due to G-d's kindness, ed.) no one dies anymore of smallpox; polio is almost wiped out. Why? Solely because of very successful vaccination programs. Rachmana liztlan (May G-d have mercy on us, ed. ), why should anyone in 5779 die from measles? We are living in very scary times, replete with anti-Semitism, chillul Hashem, and fatal contagious illnesses. 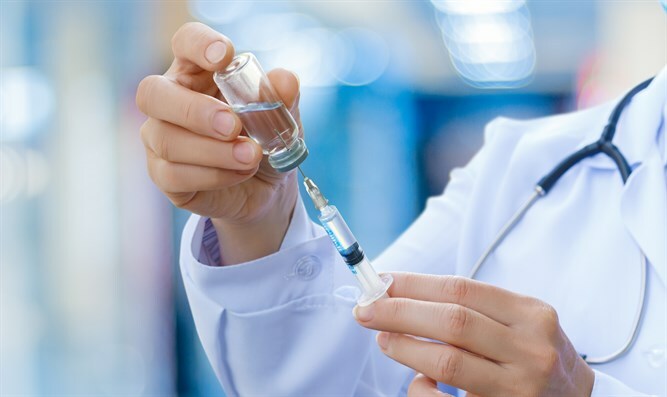 I feel compelled to publicly speak out (again) against “vaccination hesitancy, and the grossly inaccurate halakhic and medical information being publicized by well-meaning but totally ignorant orthodox Jewish anti-vaxxers. It’s a matter of pikuach nefesh. (1) Pikuach nefesh: The principle in Jewish law that the preservation of human life overrides virtually any other religious consideration. When the life of a specific person is in danger, almost any mitzvah lo ta'aseh (command to not do an action) of the Torah becomes inapplicable.